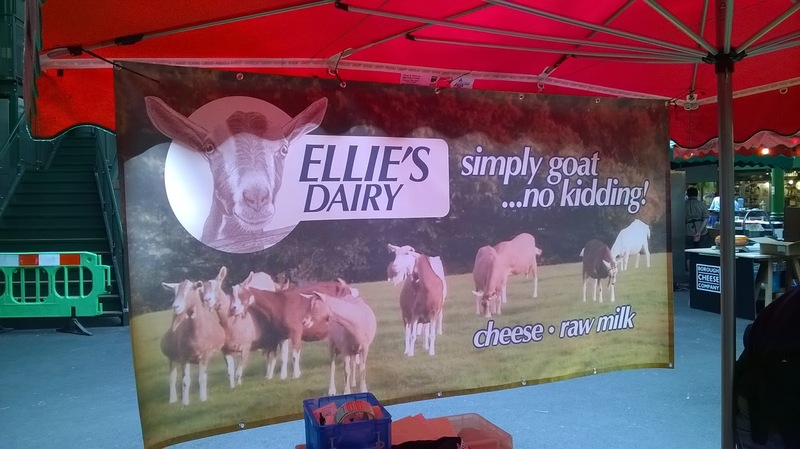 Ellie's Dairy - The Finest Goat Milk, from Kent: In a previous life ..
Those of you who follow our Twitter feed may be a little confused to have seen this pic arrive in the last couple of days ..
Are we squandering your hard-earned cash on sponsoring a race car??!!! 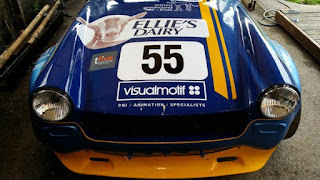 Many years ago BG (before goats), our very own David was a rather talented racing driver and that blue and yellow car was his pride and joy - an MG Midget with a very powerful engine and some rather wicked design features. 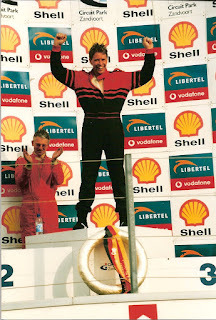 He raced it to victory many times at race circuits around the UK and was the Halfords Midget Champion. A few years later, he built another car and we used to spend several weekends a year racing at some of the most famous and amazing race circuits in Europe. 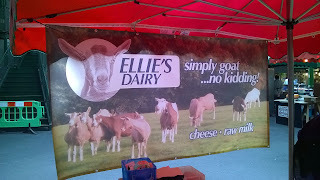 For those of you unfamiliar with the background to Ellie's Dairy, this is how it all began ... One rather drunken night in Assen, David promised that he would buy me a goat if he won the European Championship. Three times actually ... So that was Betty, Wilma and Ellie! David claims not to remember ever saying anything about goats .. but fortunately, I had witnesses. 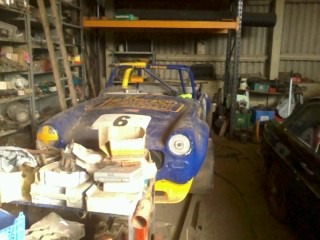 So, one race car was sold and the other has just been gathering dust in the grain store .. 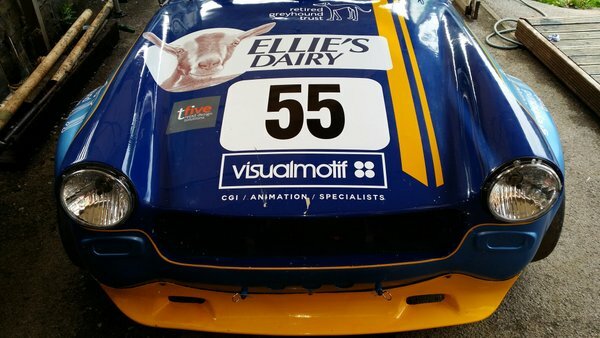 Earlier this year, Andrew took it away with a view to getting it back on the track again ... And this week we had our first glimpse of the reincarnated beast ... And doesn't she look amazing! 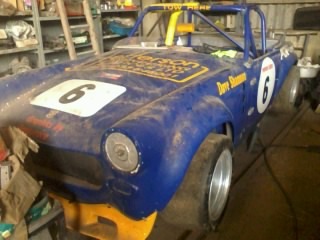 First outing at the annual MG meeting at Silverstone next weekend. Sadly, we won't be able to go and watch but I am sure that Andrew will uphold our honour and do everyone proud. So, Andrew, we all wish you the best of luck. And as David would say - keep it on the black stuff and what's behind doesn't matter. Enjoy! !